could anyone direct me to a GOOD suggie vet in MN? I dont have any suggies yet but i keep reading how its important to have a vet BEFORE you buy just in case. It's not just for "Just in case". You should take your gliders in for (at least!) yearly wellness exams. You should bring them in for the first time within a week or two after they come into your home. 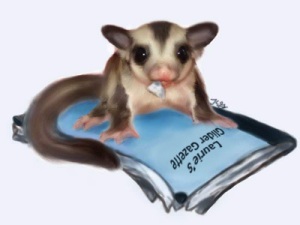 There is good info on SouthEast Sugar Gliders about what to have your vet look for at a well check and in an emergency. Good info to have on hand. I will bookmark that page, ive got quiet the file going on suggie information! I LOVE it!